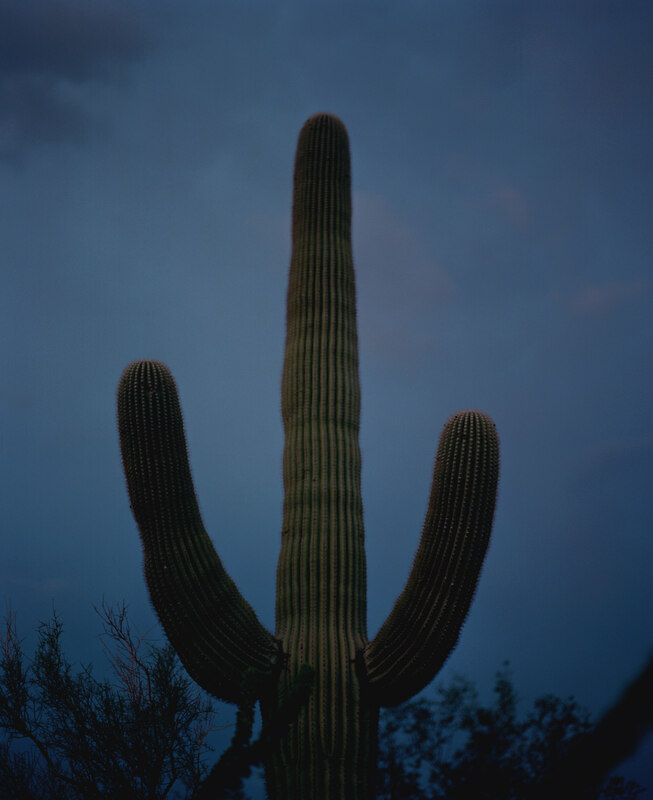 Arizona-based photographer, Andrea Koesters, reflects on her residency spent documenting the vast landscape of the Sonoran Desert at 'blue hour'. During this elusive period of twilight, the sun is almost set but the sky does not yet ensue total darkness causing the remaining light to appear blue. 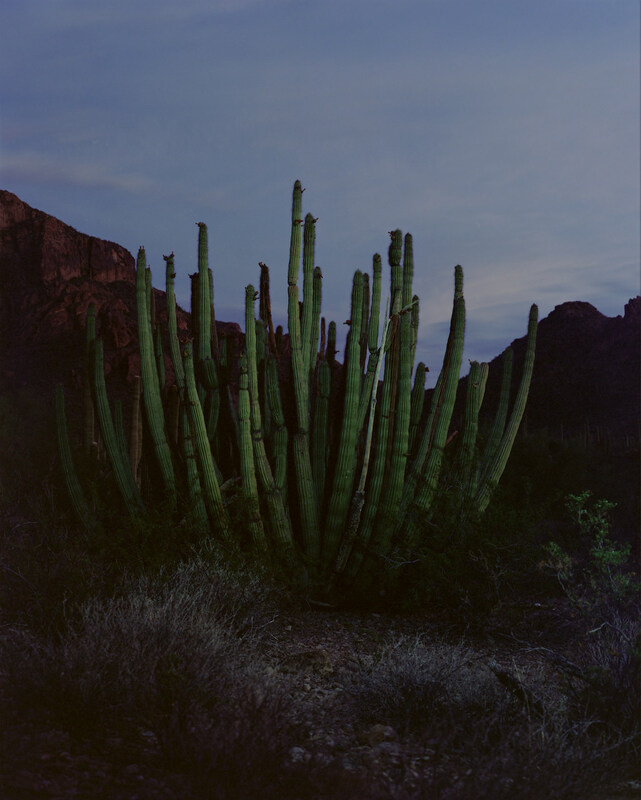 Andrea captures the aesthetic stillness and rugged beauty of the desert at this time, emphasising though, that despite the seemingly rich perpetual landscape, the Sonoran is at constant siege from the advancing concrete jungle. "Organ Pipe cactus at Organ Pipe National Monument. It was really dark, and I was worried the negative would be too thin. Luckily I was able to pull just enough detail out when scanning." Could you give us a brief introduction of yourself and your photography story? My name is Andrea Koesters. I’m from Louisville, Kentucky but recently moved to Phoenix, Arizona. I’ve been photographing and shooting film for the past ten years. I started shooting in high school with my dad’s old cameras. Growing up, he was a commercial photographer and I would spend time in his studio and darkroom after school. My gravitation towards film photography naturally spurred from there. Before moving, I was the lab manager at State Film Lab - a full service film lab based in Louisville which allowed me to further my experience and technique in photography. 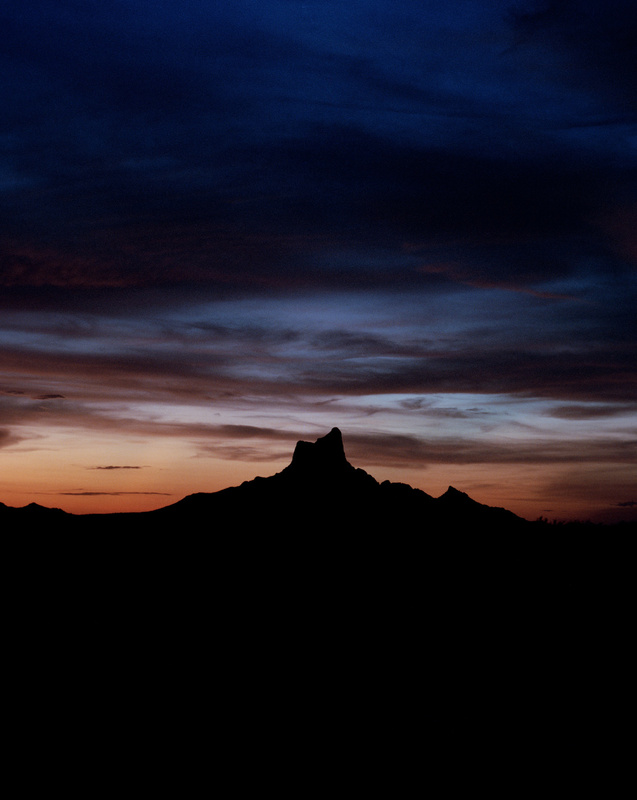 "Picacho Peak - a volcanic looking formation seen from I-10. I definitely trespassed to get to this spot. I don’t recommend doing this." What was the inspiration or motive behind the series? I’ve always been enamoured by the desert landscape. Something about the serene, yet harsh environment is so unusual and intriguing to me. I wanted to challenge myself with a project I’ve never done before. I chose to document the desert during blue hour. I soon discovered blue hour really isn’t an hour long, but rather a period of about twenty minutes after sunset where there’s just enough light left to create silhouettes and retain some detail and texture. I chose these night scenes because of the technical aspect of shooting them, but I also wanted to explore the lesser seen imagery of the desert - at its quietest yet most active time of night. 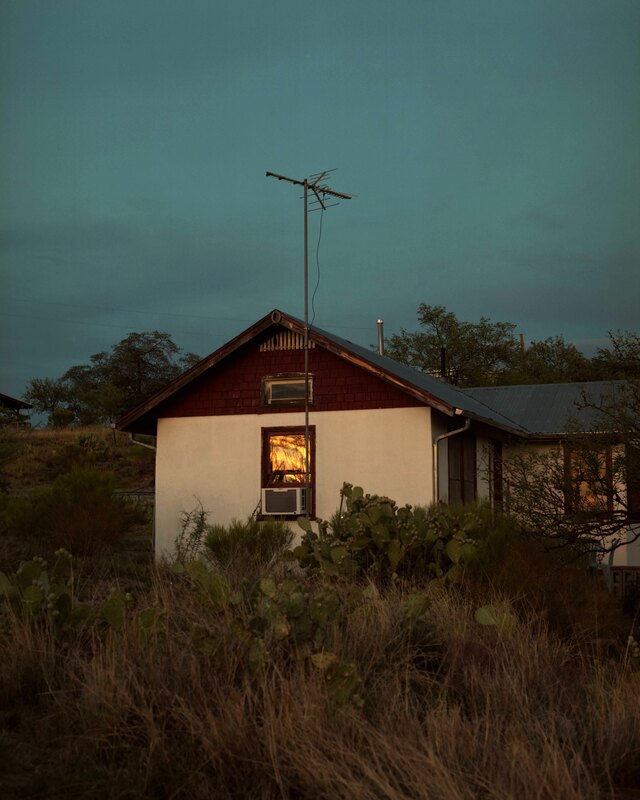 "My casita I lived in during my residency in Oracle, Arizona." How do you approach shooting remote locations such as these? Do you decide in advance or do you explore after dark? 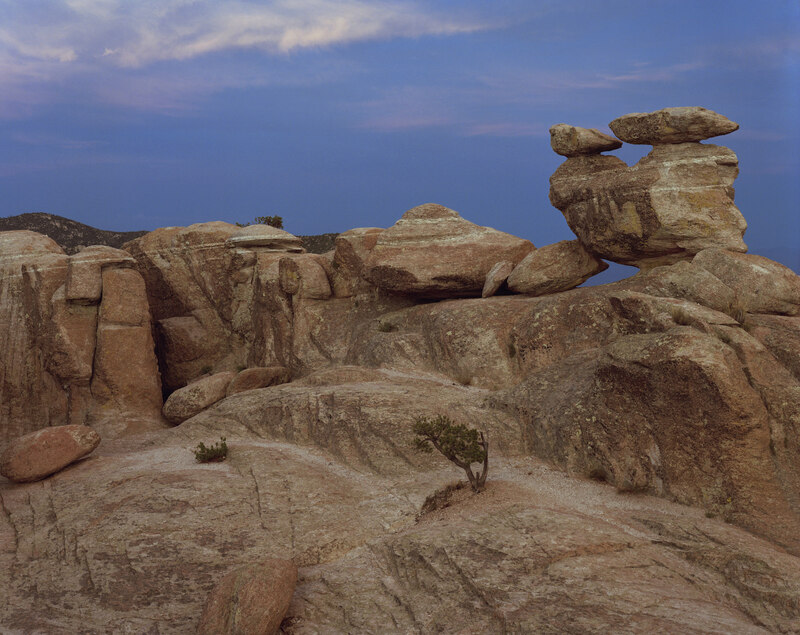 During my residency, I would spend the day researching the Sonoran desert and new areas to explore in the evening. Sometimes it would be a national or state park, other times I’d use Google street view to find areas that looked interesting. I would set out a little bit before sunset, navigate to a general spot on a map and sort of wing it from there. The types of wildlife, bones, and flora I would come across was always an exciting part of the trip as well. Occasionally I’d be greeted by a pack of javelinas, a gila monster or a desert tortoise snacking on a prickly pear. Usually I’d scope out the area I was in and pick a spot or scene to set up my equipment and wait patiently for the sun to set. 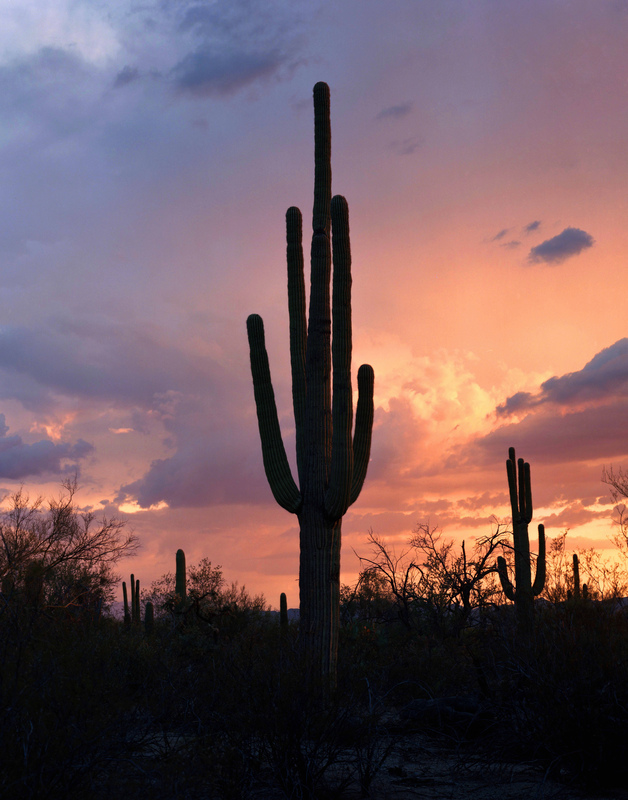 "Another Saguaro in the Superstition Mountains with outstretched arms just before darkness." "Rock formation in Mount Lemmon a mountain range near Tucson. The sky was purple this evening." Why did you decide to shoot large format for this project and did this present any specific challenges? I chose to shoot large format because of the challenge. I had shot large format in the past, but never exclusively for one dedicated project. I knew I wanted to print large images as well, so the larger film size was ideal for that. Having an Intrepid was a major advantage for me as well. Lugging my equipment all over the desert was much easier with such a lightweight camera. Shooting large format definitely produced the challenges I was after. With so many steps to remember, it was important for me to stay focused. 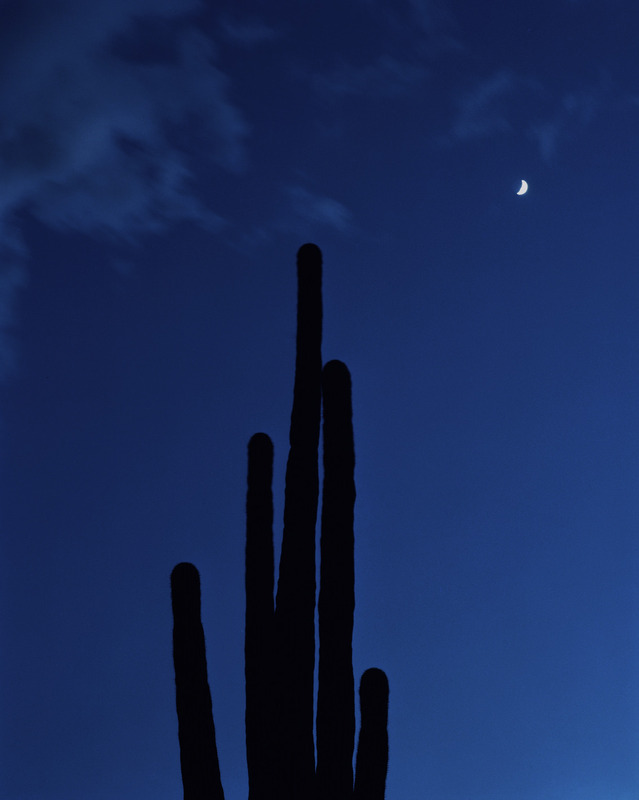 For example, I was in Saguaro National Park one evening, and fired off two shots: one of a beautifully coloured desert sky, then another once the moon came out. As I was packing up to leave, I had a moment of panic after I realised I had just exposed the same side of the film holder twice by accident. The sky had become cloudy and I lost any opportunity to re-shoot. I left and headed home feeling defeated. The next day, I came back to the exact same spot as the night before and thankfully the sky and lighting conditions remained almost identical to the previous evening and I was sure to get my shots right that time. "A Saguaro silhouette amongst a flaming sky in Saguaro National Park." What equipment did you use for the project? For this series I shot on my Intrepid 4x5 with a Fujinon 210mm 5.6 lens. I mainly shot Kodak Portra 400 and Ilford HP5 sheets. I used my Manfrotto tripod with a ball head. It was sturdy enough for a field camera, but didn’t kill me to lug around for miles. I always had my Sekonic spot meter on me, however I found I was making more educated guesses at long exposure times. I used a small loupe to check my focus through the ground glass. This was crucial for me as focusing in the dark wasn’t easy. I also used a threaded cable shutter release which came in handy for the long exposure times that were necessary. 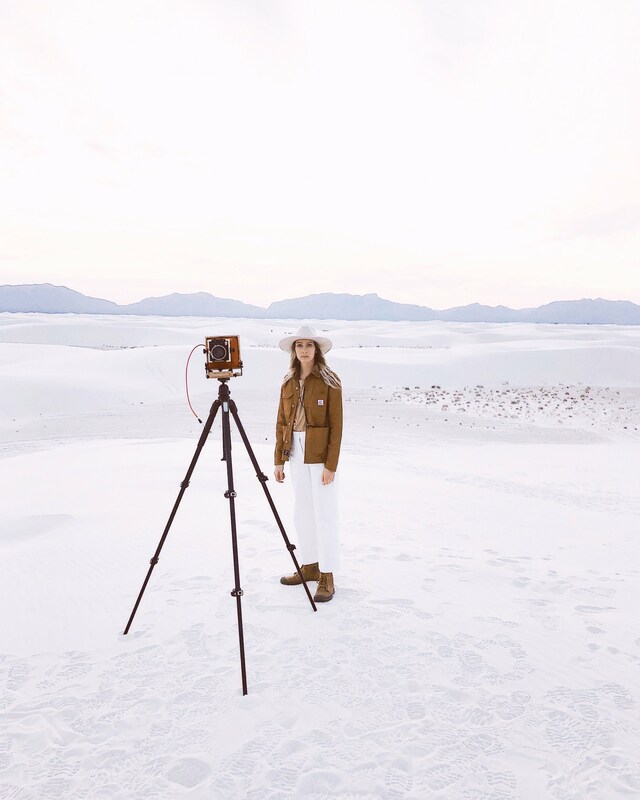 Your images capture a sense of solitude in the desert at twilight, was this intentional? In a way, yes. I wanted to portray the feelings of solitude that I experienced while out at night. It was peaceful and calm. Shooting large format landscapes can be a similar experience of solitude. I found the scenes I shot complimented the state of serenity I desired to be in. The Sonoran is so fragile and urban sprawl continues to jeopardise its vast wildlife and plant species unique to the desert. I wanted to capture it’s ruggedness while shedding moonlight on its beauty. 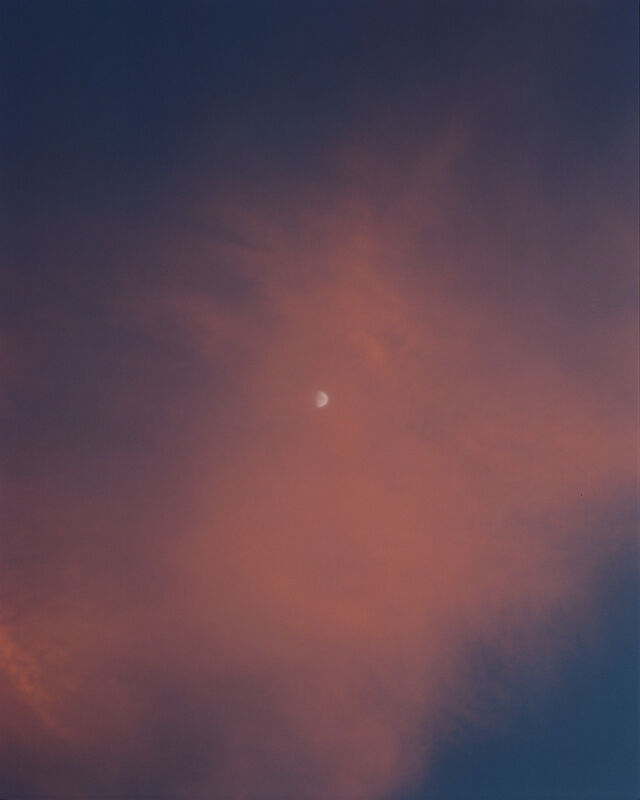 "A hazy moon shines through the evening"
You can see more of Andrea's work on her website and Instagram.